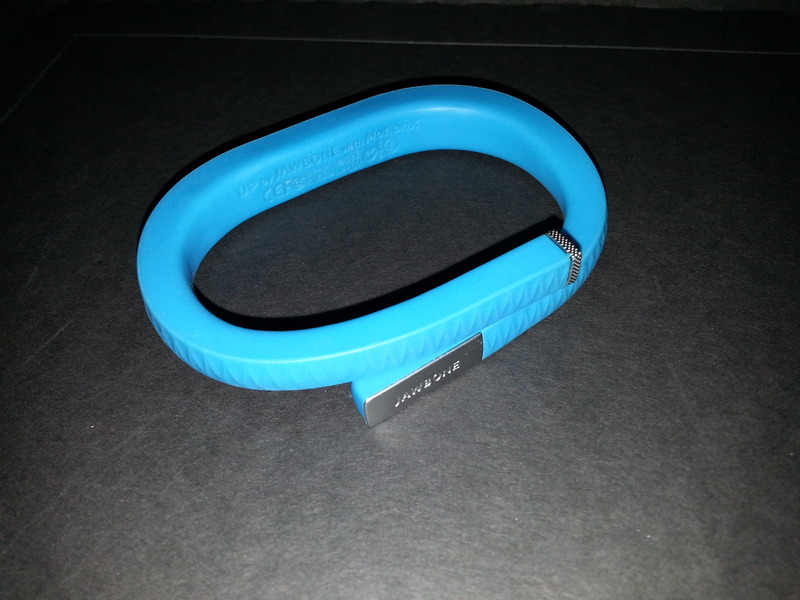 I’ve now been using the Jawbone Up for a couple of weeks. In terms of overall usage, there’s probably not too many devices that are easier to use than this: you just make sure the battery is charged (a full charge should last about ten days) and pop it onto your wrist. Just wear it, and go about your daily activities as you normally would. 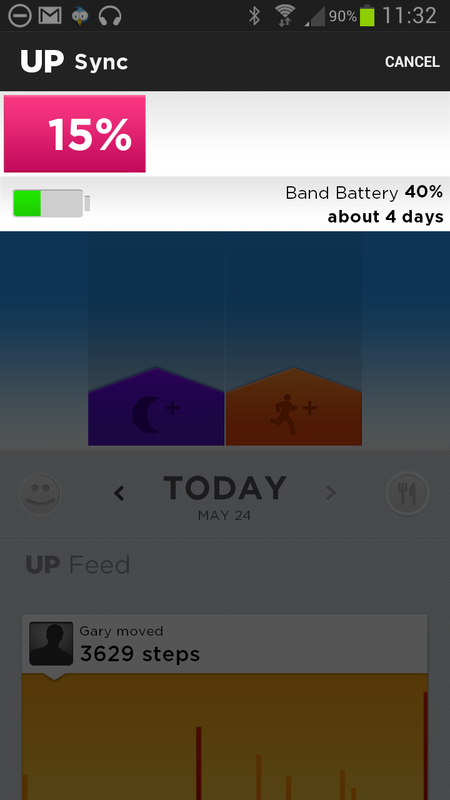 The Up will dutifully record those activities – including your sleep – with absolutely no effort on your part required. Apart from a couple of initial set-up steps, there are a couple of things that you will need to do, however, on a regular basis. A little bit unusual, one end of the Up is a 3.5mm plug, just like the connector that you connect your phone’s earpiece into your phone with. The Up comes with a special USB connector, and using this connector and the 3.5mm jack, it takes just a few minutes to charge itself up from your computer or a USB charging port. And on a regular basis, you should synchronise it with your mobile phone. There are free apps available for both the Android and iOS environments: just name your poison and install the app. On an Android phone, you should just start the app, and then plug the Up into your phone, again using the 3.5mm plug. With the app already loaded, it automatically downloads the latest data from the device back to your phone, and then presents it all in a nicely summarised set of graphs. While the download proceeds, you are also given a good summary description advising you of how much battery life your device has remaining, before it needs a recharge. 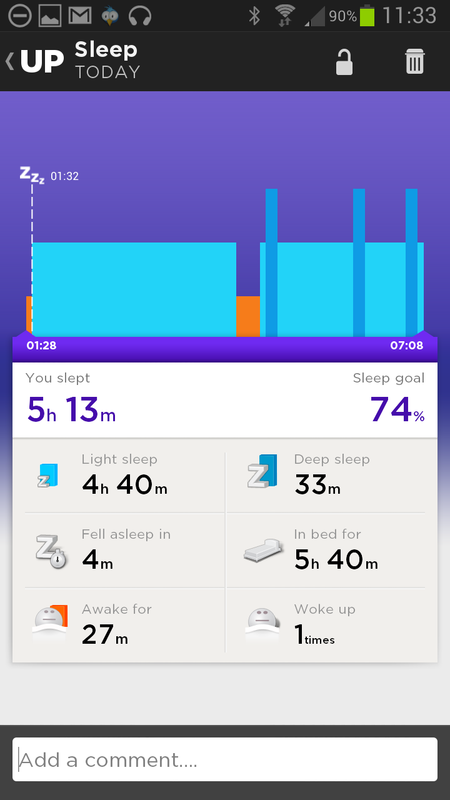 By touching one of the daily summary graphs, the app can drill down a little into the actual data, displaying a graphical representation of your sleep patterns or your daily walking regime. 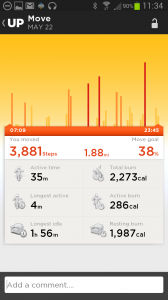 The app offers the ability to add more information and grab a fuller picture of your overall life. For instance, you may add photos and details of meals that you’re consuming, and through the settings you can, for instance, program in alarms so that you can be woken by the Up at a given time on any given day. I see this as a very useful tool in my quest to acquire a more healthful state of life, although I don’t know that I’ll be using all of the features: for me, food is to be consumed and enjoyed, and I don’t know that counting every single calorie is something that I can, in all honesty, be bothered to do. That said, I would like to see a couple of changes in the app. 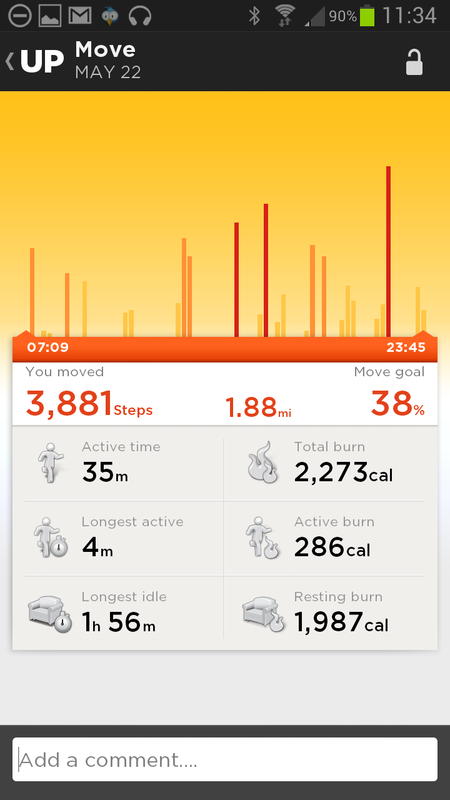 While the app is already good and quite polished, I don’t think that, when drilling down into the daily data, the level of granularity that’s displayed is adequate. 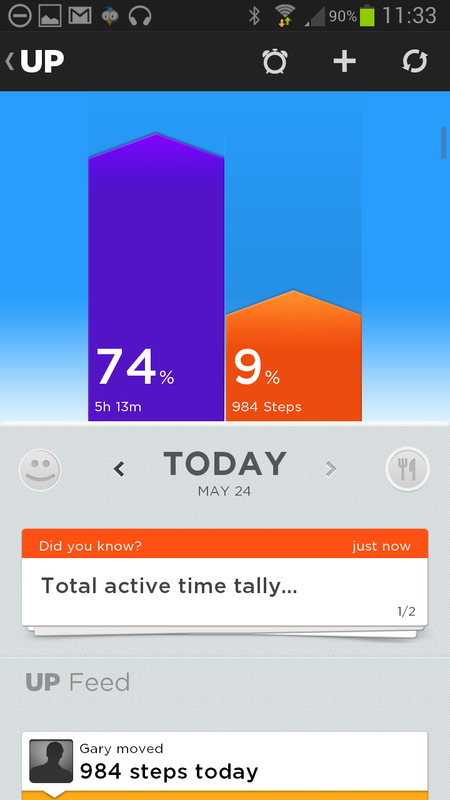 I’d like to be able to better relate what I’m seeing on the graphs to what I recall of the day’s activities, and manner in which the current app displays this data doesn’t offer enough detail for me in this realm. But otherwise, this is a very easy to use device, and has lots of potential uses within the market for those of us on right side of 55 years young.